The “Iron Curtain” was a term used to denote the efforts of the Union of Soviet Socialist Republics to block its citizens from contact with the West. It persisted from the end of World War II until the end of the Cold War. Throughout those decades, the U.S. endeavored to breach the Curtain and reach out to Soviet society through radio, exchanges, exhibits and other forms of public diplomacy. 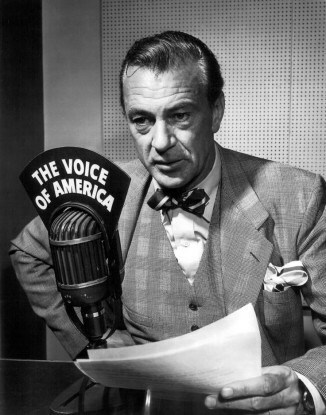 The U.S. Voice of America (VOA), launched during the Second World War as a radio program to explain America’s policies and raise the morale of U.S. allies, continued after the Allied Victory to make information available to listeners throughout the world. VOA began its first Russian-language radio broadcasts into the Soviet Union on February 17, 1947 with the words: “Hello! This is New York calling,” The programs contained news, entertainment, educational features and music. 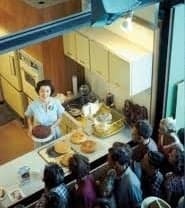 A Harvard University study estimated that 28 million people in the Soviet Union tuned in at least once a week. 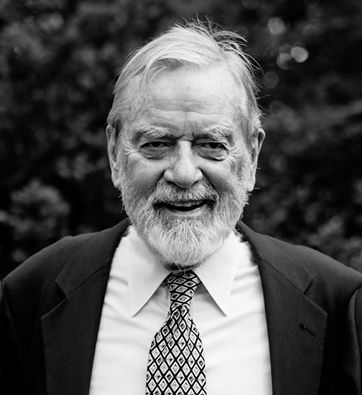 Among those who faced unexpected tribulations in practicing public diplomacy in the USSR were Yale Richmond, Counselor for Public Affairs from 1967-1969, who was interviewed by Charles Stuart Kennedy in June 2003. Another was McKinney Russell, head of the USSR Division at VOA in Washington from 1967-1969 and Cultural Affairs Officer, then Public Affairs Officer, in Moscow from 1969-1971. 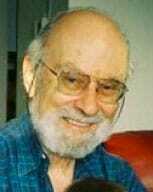 Russell was interviewed by G. Lewis Schmidt in May 1997. Please follow the links to learn more about the Cold War, U.S.-Soviet relations or Yale Richmond’s book, Practicing Pubic Diplomacy: A Cold War Odyssey. RICHMOND: After the Nixon administration came in, Frank Shakespeare, a former official in radio, was appointed director of the U.S. Information Agency [USIA]. On his first trip abroad, he came to the Soviet Union to open an American exhibit called “Education USA” about the American educational system. I took him up to Leningrad. Before the exhibit opened, he made a preview tour of the exhibit and he focused on the books. Well, we had this problem with previous USIA directors and we figured this was another one we’d have to educate. So, we were in a room that was used by our exhibit guides – we had about 20 American guides there who spoke Russian, most of them college students, and they were on the floor of the exhibit interpreting, engaging with the Russians and answering questions. They had a room where they would retreat for a smoke or a cup of coffee. We were in that room. There were these books on the table and Frank Shakespeare was there. His assistant, Teddy Weintal, was there. I was there. Pic Littell, the assistant director for Eastern Europe. And Jerry Verner, press officer. So, I said to Shakespeare, “What’s wrong with these books?” He started going through them. There were two textbooks that teachers were to use with classes and there were photos. One book was of the city, and one was of the country. The one of the city showed various photos of life in a large American city – New York, Boston. And the teacher was supposed to ask the class, “What does this mean to you” and stimulate a discussion. Shakespeare didn’t like several photos in there. 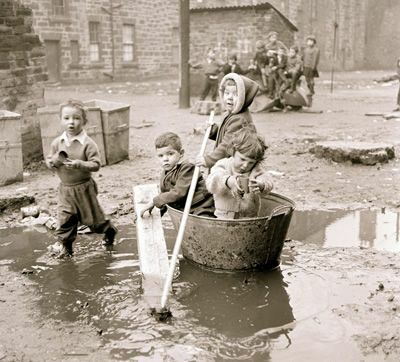 One photo showed a kid in a slum in a backyard sitting in a bathtub that had been discarded. We started discussing this. He got apoplectic and he blew up. They had to get him outside, walk him up and down the street to cool him off. I did not go back to Moscow for a third year. I was an FSO-2 at the time. I was held up for promotion to class one until Shakespeare resigned. After Shakespeare resigned, the next promotion panel promoted me to class one. He resigned because of differences in policy with the State Department. I was transferred to take over the direction of the VOA [Voice of America] broadcasts in the four languages of the Soviet Union that the Voice broadcast in at that time: Russian, Ukrainian, Georgian and Armenian… Those two years [1967-1969, in Washington, D.C.] were, I have to say, singularly demanding and complicated. There were 120 people in the division which had been, when I arrived, part of the European Division of the VOA. We all felt rather uncomfortable under that umbrella, since the problems we faced were so different, and I began early on working for the creation of a separate division. After six or eight months, that was successful, and the USSR Division was created. The non-Russian services were much smaller – the Georgian and Armenian services had only five or six members, the Ukrainian might have had 10 – but the Russian had some 85 or 90 … they were broadcasting in Russian 17 or 18 hours a day. There was a challenging range of complexities in that job. 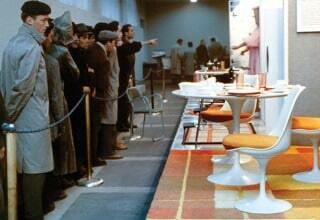 The most striking single event during my tenure was the invasion of Czechoslovakia in 1968. When I joined the VOA, there had been no jamming by Soviet jammers since 1962. It was during the invasion, with the move of Soviet troops into Czechoslovakia, that jamming was reinstated and again created the problems of getting through that interference. I then went to Moscow as CAO [Cultural Affairs Officer], arriving in July 1969 with my wife and children… As CAO, I held the number two position in a five-officer post. Five officers and two locals made up the full USIS [United States Information Service, as public diplomacy offices were generally called overseas] staff at the American Embassy in Moscow in 1969. 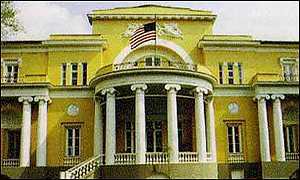 We were not called USIS but were known as the Press and Cultural Section of the American Embassy, and that was then standard practice in the USSR and Eastern Europe. By late August Frank Shakespeare had decided … that I was the one he wanted to take the job, which put me rather on the spot, because here I was PAO with only two years of overseas experience in the former Belgian Congo. I was in way over my head and had a lot to learn. At that time, I had had, between working in the Radio Liberty and at the VOA, something like 11 years of experience of working and using the Russian language a great deal, so I was quite at home in it. I was able to get much involved in things Soviet without having to worry about interpreters or major misunderstandings. First of all, I was very interested in supporting the VOA. I set up a system, soon after my arrival, of a monthly reporting and analytical airgram to the VOA in Washington. In those days, the airgram was used a great deal. It was a message sent by pouch, not by telegram, and, in order to give the Voice of America broadcasters a sense of what was going on, what people were talking about, what might be interesting to them, my staff and I wrote every month a detailed airgram telling them what seemed to be on people’s minds and trying to reflect the atmospherics of life in the Soviet Union…. It was always a problem to travel [in the USSR] at that time, but what made it necessary for us to travel was a rather interesting circumstance. In return for our agreeing in the original cultural agreement signed in 1958 with the Soviet Union to allow a very limited number of Soviet scholars to come to the United States on an exchange basis, a whole cultural agreement was developed under which there was also a system of national exhibitions. 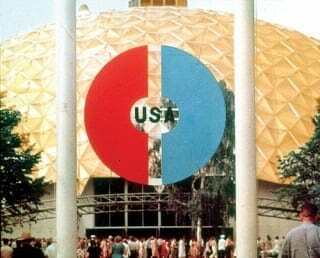 The Soviets would do an exhibition on some aspect of life there that they would send to us, and we in return, i.e., USIA [the United States Information Agency, the parent organization in Washington] would mount one and send it to them. Our society, at that time as now, was a completely open one, but theirs, unlike the present, was still tightly closed. Naturally, the impact of these national exhibits was far greater in their country than in ours…. 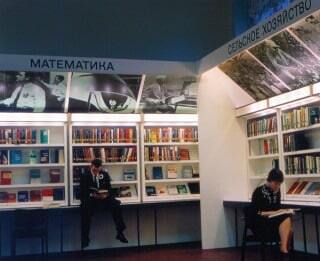 Just before I arrived in July of 1969, a new American exhibit on our educational system had opened in Leningrad. There were serious problems with it, including inadequate coverage of certain aspects of education, not very lively exhibits, in fact, a whole range of problems. The exhibit was to move on to Moscow in September and everyone wanted it to be as successful as possible in the capital. I recall writing a lengthy and detailed critique back to the Agency describing what was lacking or wrong as I saw it, along with comments from Soviet visitors and from the young American guides at the exhibit. 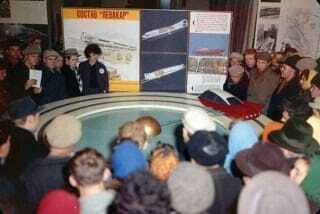 The Agency responded very quickly and by the time the exhibit opened in Moscow, a number of improvements had been made. The guides in these exhibits had learned Russian or knew it from their families. They were, of course, the stars of the show, because they would spend seven or eight hours a day talking to audiences and explaining, for example, how one got into a university or how public schools worked in the United States. There were 25 or so guides, young men and women, and they took advantage of a very interesting opportunity to participate in the exhibits and gain unique access to Soviet citizens who came to the exhibit. It was unquestionably one of the best things that the Agency was ever involved in doing, because the long-range impact on the minds of the young Soviet citizens was very great and lasting. There is one interesting political event connected with the opening of the education exhibit in Novosibirsk, in Central Siberia. In May of 1970, when the exhibit was supposed to open, everything was all set and was going to be opened on, as I recall, May 9. A very significant group of people were coming from the United States, fascinated by this rare opportunity to go to Siberia…. They were all set to leave to go to Moscow around May 4 or 5 and go on to Novosibirsk and to be there for the opening of this American Education Exhibit. Two or three days before they were to leave, I received a call very early in the morning from the Foreign Ministry to tell me that the Exhibit could not under any circumstances open on the intended day because there was a shortage of electricity in Novosibirsk. The exhibit used very little electricity, in fact, and the whole story was completely invented, but there was no room for discussion. The exhibit would not open and it would not be open until sometime later when the electrical system would be fixed again. As a consequence, all of the visits by the VIPs coming from Washington had to be canceled. It was only several days later that we realized what it was that had happened to cause the cancellation – or the postponement rather – because the exhibit did open a week later. That was the precise time, May 1970, when the incursion into the Parrot’s Beak Region in Cambodia had been ordered by President Nixon and had touched off a tremendous storm of reaction and criticism in the Communist world. At a time when the propaganda criticism of the United States over this decision was so intensive, the Soviets decided that it would look very bad to have Frank Shakespeare and William F. Buckley and other representatives of the American Administration wandering around, being seen, and reported on in Novosibirsk. It was a kind of a lesson to all of us that the reason that people give for something happening can often be far from the reason. It had nothing to do with the electricity. 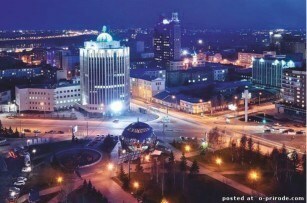 The faulty generator in Novosibirsk was all in Southeast Asia. In 1971, I had expected to spend the third year in Moscow, and was hoping perhaps even to get a fourth. In spring of that year, however, there was a major shift in Personnel decided by the Director, still Frank Shakespeare. As a result, 25 senior personnel changes all announced the same day, April Fool’s Day, 1971. The Wireless File [a daily USG set of newsclips] announced an enormous shakeup worldwide, and among other things that happened was that Gordon Ewing, who was Public Affairs Officer in Bonn at the time, whose political views apparently did not fit those of Shakespeare, was to be replaced. He felt that it was extremely important to get someone in Bonn who knew Communism and had experience in Eastern Europe. Thus it was that my friendly Economic Counselor colleague, who had seen the Wireless File before I did called early to say, “Congratulations. You’re PAO in Germany”. I said, “That can’t be…” but yet it was. That is how we left Moscow after just a little over two years in July 1971. One interesting thing that happened towards the end of that tour was a farewell kick in the pants from the KGB. They, of course, had obviously kept a file of all of my doings and where I went, since they had a file on everybody. The fact that I was transferred out by the U.S. Government before they had a chance to use their dossier, which contained all sorts of information about where I had gone and people in the press, theater and the dance world and music, and so on, with whom I had had contact, must have riled them. On May 5, 1971, a month after the announcement of my departure, a weekly newspaper called The Literary Gazette published a full-page denunciation of all of my activities as a would-be subverter of the Soviet intelligentsia, listing many activities and contacts we had had.